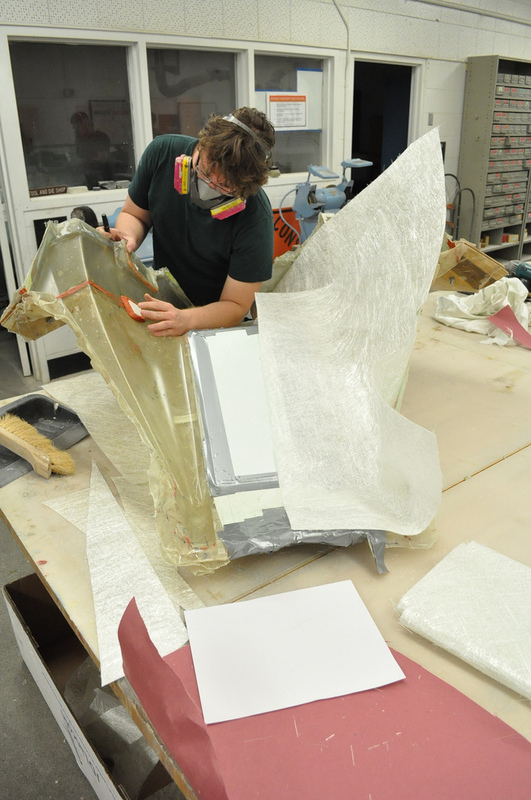 The formula team has an extensive process for making their final car body. 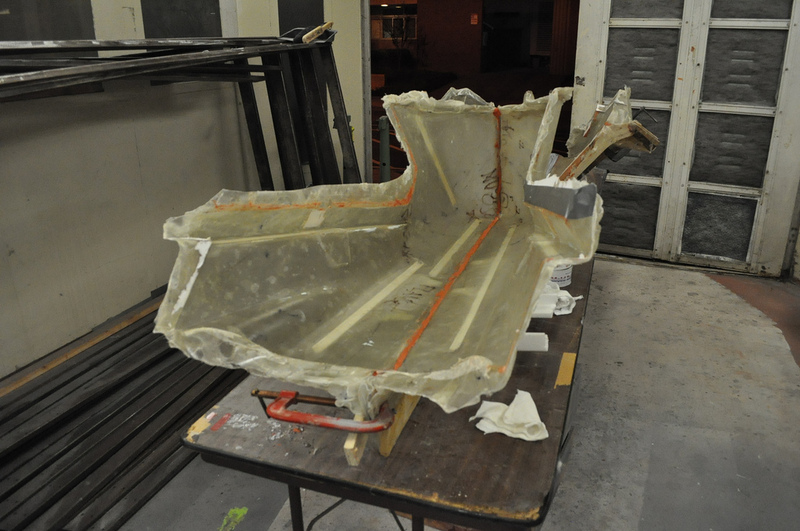 First they carved out and perfected a negative foam mold. 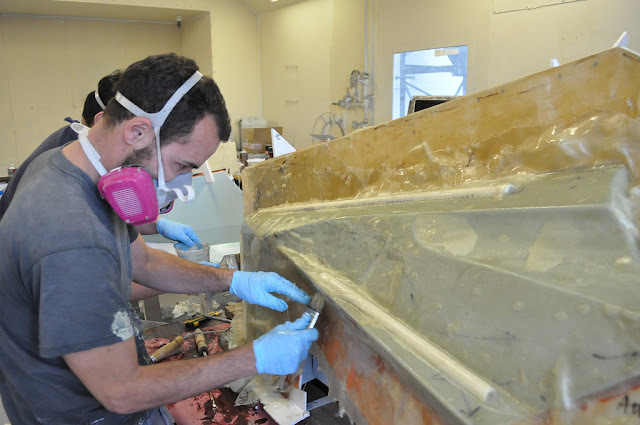 Next, they laid fiberglass over it to create the female mold. 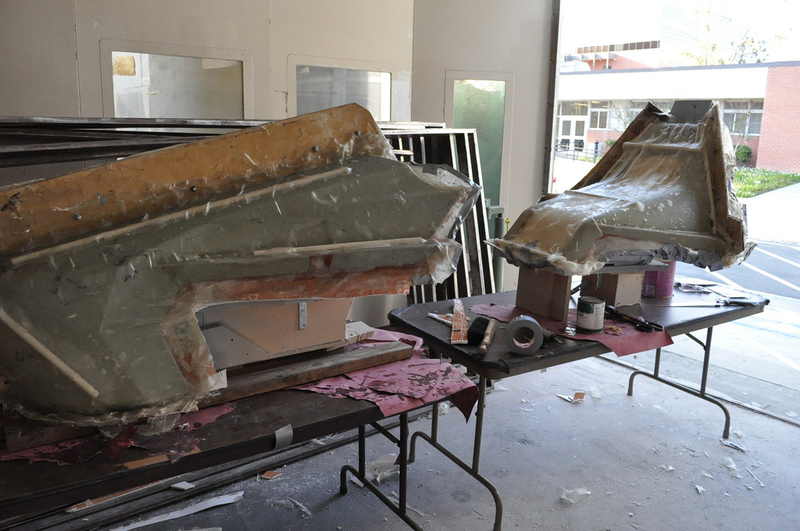 After they have completed and smoothed out all of these, they lay up one more round of fiberglass to create the final body. 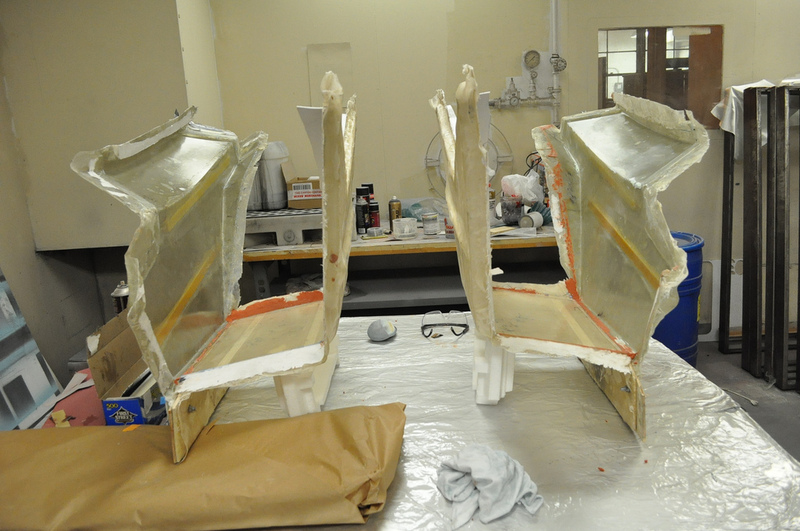 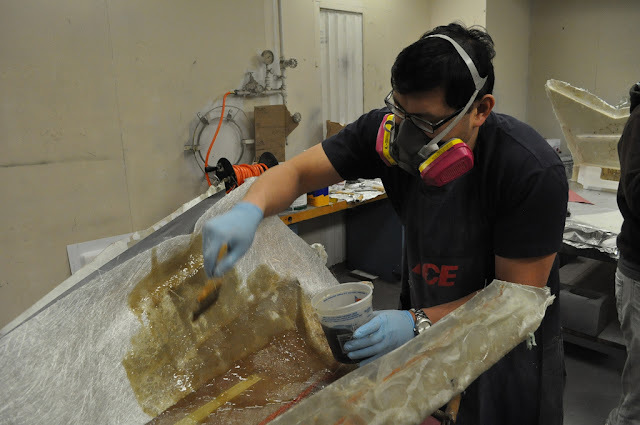 Greg Vanderpol and Armando Tonkgo finishing up the female fiberglass mold for the nose. 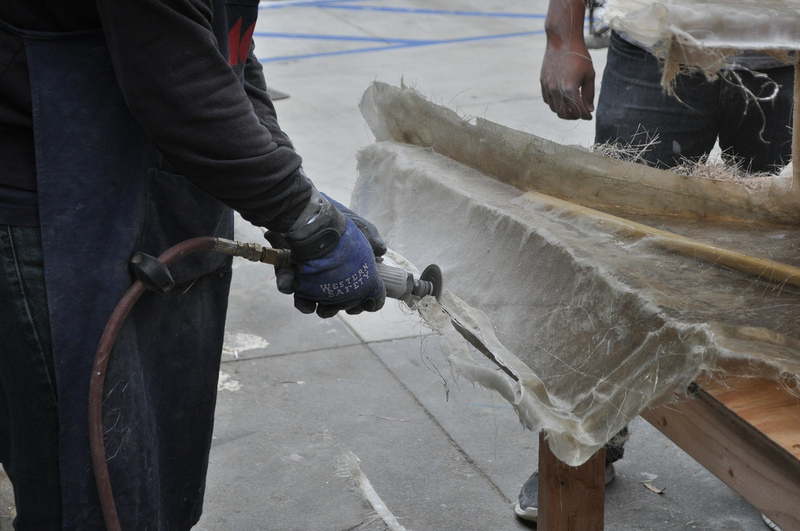 Victor Ramos, Cesar Viramontes and Armando Tonkgo remove a fiberglass panel. Justyn Perzyna laying out fiberglass sheets. 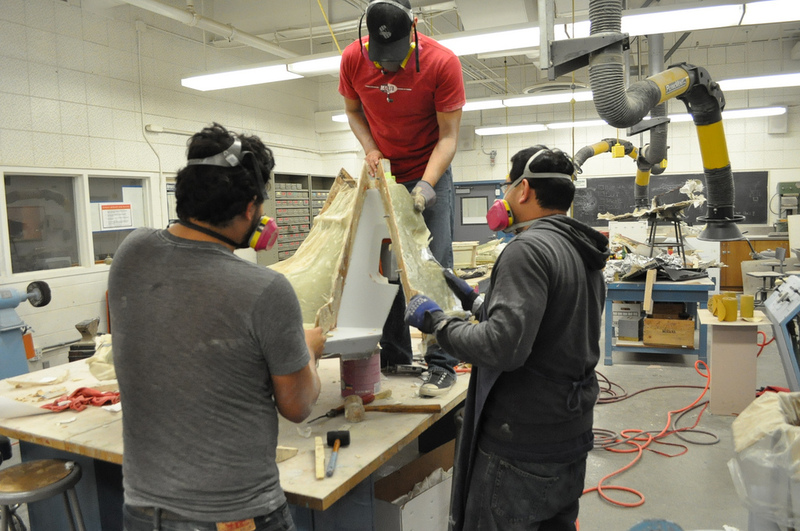 Members of the formula team cutting excess off the panel.